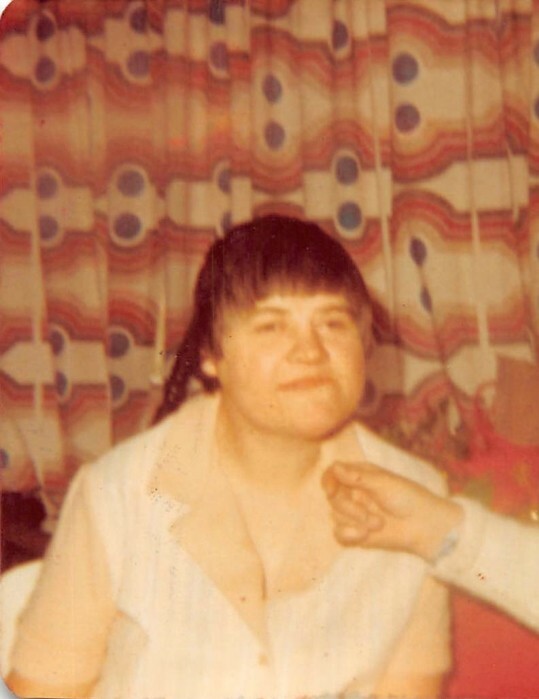 Helen Deloris Spradlin, age 74 years, of Pine Knot, Kentucky died Saturday, March 23, 2019 at the Big South Fork Medical Center in Oneida, Tennessee. She was born in Revelo. Kentucky on November 17, 1944 the daughter of Ale O. Spradlin Jr. and Jeslen (Stephens) Spradlin Chambers. Helen loved singing gospel music and drinking root beer. She is preceded in death by her parents; brother, Roger Dale Spradlin; and sister Beverly Sue Spradlin. Survivors include her brothers, Steve Spradlin (Mary), Rocky Spradlin (Bridget) both of Oneida, and Mark Anthony Spradlin of Winfield; sisters, Joan Owens (Jerrold) and Janice Stephens (John) both of Oneida; nieces and nephews, Tim Strunk, Lisa Cordle (Jeff), Angie Roseberry (Rex), Roxanna Spradlin, Roger Spradlin, Eric Spradlin, Adam Spradlin, Cody Spradlin, Jessica Anderson, John Christopher Stephens, Clayton Stephens, Billy Joe Stephens, Tabbitha Stephens, Mark Spradlin, Jr., Tracy Joe Spradlin, and Patrick Ale Spradlin. Funeral services will be held Tuesday, March 26, 2019 at 4pm in the McCreary County Funeral Home with Bro. Melvin Stephens and Bro. Donnie Silcox. Burial will follow in the New Light Cemetery. The family will receive friends after 2pm Tuesday at the funeral home.